Strindberg began his musical life as a rock musician. He performed for a number of years with the progressive group Ragnarök (playing flute it seems, maybe inter alia) but studied at the Royal University College of Music in Stockholm from 1980-87. At present he teaches at the Gotland School of Composition. He�s now fifty, time for an appraisal of the music he�s written within the last sixteen years or so. Since his avowed position is to make music "without any compromises" we are in for a rocky path with some of these works. Utvald features an occasionally counter-tenor like soprano, Annika Skoglund, and music that moves from meditative and almost static to suddenly eruptive, with sinuous drones, percussive interjections, and cymbals clashes. Strindberg also utilises electronics � and a kind of heavy metal vicious sonority that I happen to find unpleasant. 2 Pianos predates Utvald and scores more highly for its playfulness and use of repetition, rhythmic displacement and more controlled fractiousness, which is more deliberately corralled in this medium. Hopp (Hope) is a saxophone concerto. For a few bars I thought he was sailing close to Nyman�s bark, but it�s a chimera; squawky, bloody-minded and off-putting, it�s Birtwistle�s Panic without his daemonic drama. 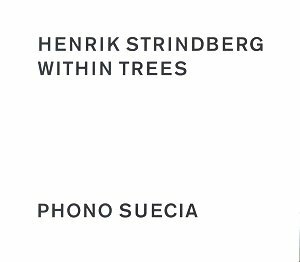 I träd/Within Trees is the earliest work here � in two parts. The first is heavy on the metallic with stiff percussion and tinkling bells � nowhere near as relaxing as you might imagine. The booklet features diagrams � ones that look like the progress charts of a knockout sporting competition finally emerging with the one winning box. As for the composer I admire Strindberg�s single-mindedness but I can�t understand his music and the more I heard the less I understood.